Life is crazy, school is back in session, and I'm back to the balancing act of dinner, homework, and nightly activities. 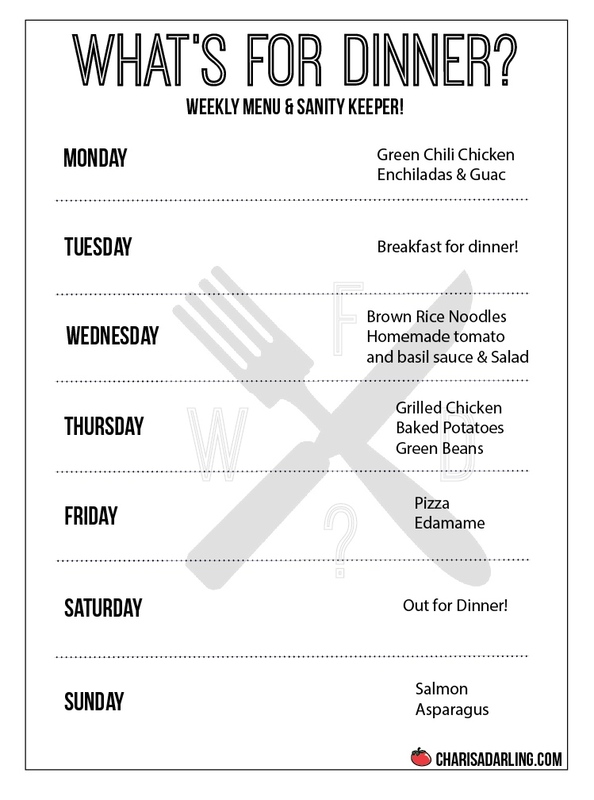 If there was ever a time for a Weekly Menu, it's now. After finishing this menu last night, I felt a little weight lift off my shoulders because it's one less unknown for the week. Hope it helps give you some ideas too. Monday's enchiladas recipe can be found here. Trying to be more efficient, I froze the leftovers the last time I made them so all I have to do is reheat and make guacamole. Perfect for a busy Monday! The kids just realized that they like baked potatoes, so that's their request for the week. I'll do russet for them and sweet for me. Still looking for a glaze to do for Sunday's salmon. Have a favorite? Please share!